Enjoy a short relaxing break in a luxury hotel - that floats! A mini cruise is an excellent way to try out a cruise ship without committing to a week or two at sea. If you have already cruised before, a mini cruise is a brilliant way to scope out a cruise line before booking your next holiday. Taster cruises to places like Le Havre (for Paris), Zeebrugge (for Bruges and Brussels), Guernsey, and Amsterdam are available on selected dates throughout the year. You can find a comprehensive list of mini cruises below. Alternatively, filter your results to show only the cruises that interest you. Looking to book a longer cruise? 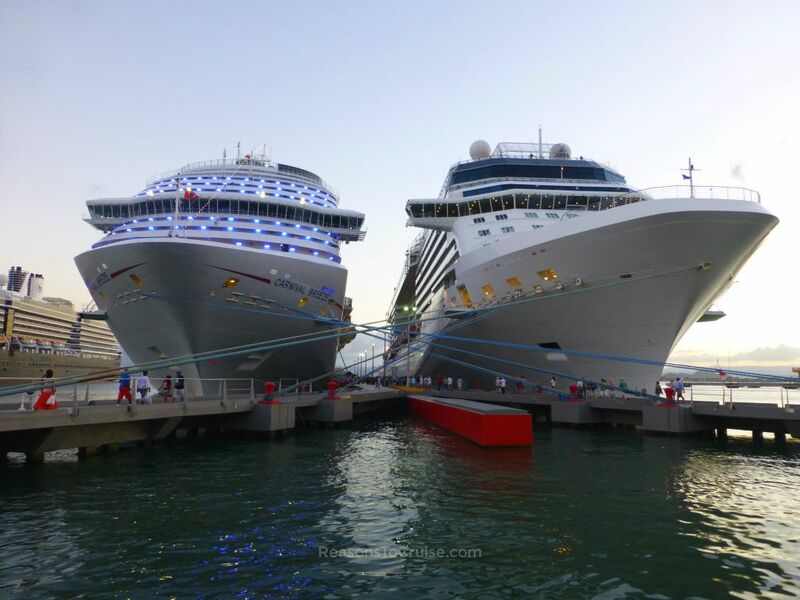 If you are looking to book a longer cruise, you have two options - book direct through the cruise line, or find a good travel agent that deals with cruise bookings. While I can maintain an up-to-date list of short taster cruises, doing this by hand for the tens of thousands of cruise itineraries released each year is simply impossible. If you are unsure where to go, research destinations before you research the cruise lines and ships. Not all cruise ships visit all destinations. If you have a bucket list port of call, start there. Travel agent websites are usually pretty good at displaying itinerary information but less so for up-to-date pricing. To get an accurate guide price without speaking to anyone, check the cruise line websites. Most give live pricing and you can book instantly if you choose. The best travel agents offer impeccable service and are worth their weight in gold. They will make sure you are well looked after, and take pride in ensuring you have the time of your life. They become good friends who look out for you. My experience with some travel agents has sadly left a lot to be desired, so I now tend to book direct - unless there is an irresistible agent-only offer available.